Foreign. Cloves are excellent against disorders of the head, and the stomach; they are warm, cordial and strengthening; they expel wind, and are a good remedy for the colic. Dose of Powder 2 to 3 grains. Infusion, 1 to 2 ounces. Tincture 20 to 30 minims. 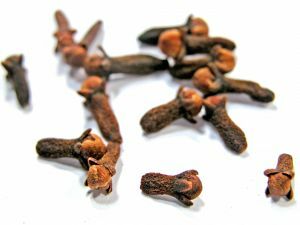 The Oil of Cloves is excellent for the toothache, and better still combined with Cajeput oil, opium, and Camphor.